First of all, I wanted to inform you about what your Executive Board has been up to since the last update. As I mentioned in my last letter, one of the goals of my presidency is to increase our membership. 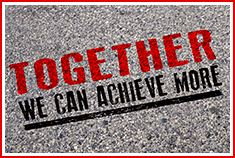 In order to accomplish this goal, we recently hosted two very successful regional dinners. On September 19, we were able to have a productive conversation with members and potential members in Northern Virginia at the Capital Grille. On October 3, we traveled to Virginia Beach where we were again able to talk to members and potential members over dinner at Zoe’s Steak and Seafood about why VOS is important. Many thanks to Executive Board members Jeff Schulman, MD and Brad Butkovich, MD for helping organize and promote these gatherings. 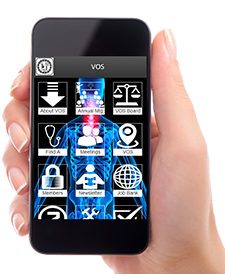 This brings up another important point – it is now time to renew your VOS membership for 2018. As before, group billing is the simplest and most efficient way to accomplish this. With that being said, please keep in mind members who have retired or, more importantly, new members who have joined your group. Also, if you are aware of individuals or groups that are not currently members of VOS, please reach out to them. 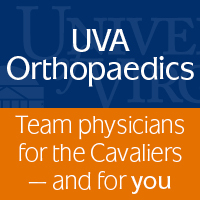 One of the ways that VOS maintains its importance and voice, especially with legislative issues, is to present a unified front from the majority of orthopaedic surgeons in the state of Virginia. Our membership is growing, but we could be better. I am happy to report that at the recent AAOS Fall Meeting, VOS was awarded a $10,000 grant to continue and expand our campaign to reform COPN in Virginia. Indeed, we have made significant contributions to the COPN reform, and with this grant support, we will bring our action to the next level. Many thanks to our VOS representatives Drs. Doug Boardman and David Romness, Dr. Wilford Gibson, current chair of AAOS Council of Advocacy and former VOS President, as well as Virginia Orthopaedic PAC for their excellent work. 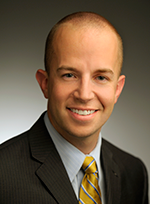 To contribute to ORTHO PAC, the political voice of Virginia's Orthopaedists, please CLICK HERE. Thanks in advance for your support. As many of you are well aware, every year VOS, along with MSV, participates in “White Coats on Call” to visit the General Assembly. This allows us the opportunity to visit our local legislators and discuss topics that are important to us such as COPN and opioid reform. Attendance at this event has been difficult for many as it required a day off of work and a drive to Richmond. This year, however, due to the renovation at the Assembly, we will be hosting a more informal cocktail reception with invited legislators the evening of Tuesday, January 30, at Commonwealth Strategy Group, 118 North 8th Street, Richmond, Virginia. We hope this more relaxed atmosphere and the fact it will be held in the evening will allow more of our members to attend. Finally, Drs. Alex Vap and Brian Werner, along with the rest of the Planning Committee, have finalized an outstanding educational program for our upcoming Annual Meeting. Again, we are very fortunate to have Dr. Bob Marx from the Hospital for Special Surgery and Dr. William Griffin from OrthoCarolina as our keynote speakers. 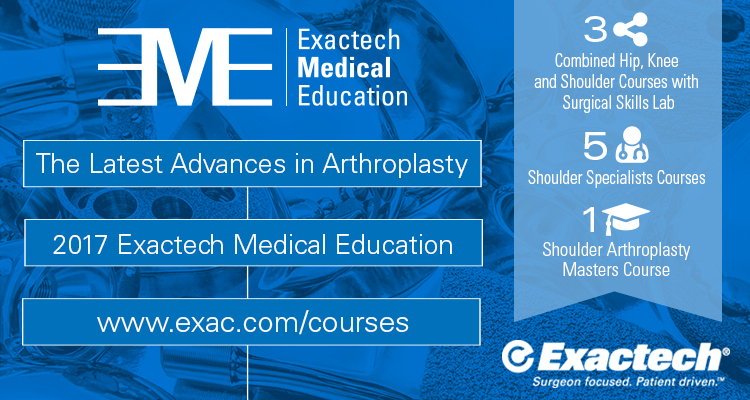 I think you will especially enjoy the broad coverage of topics this year which should appeal to many in attendance, regardless of your subspecialty. 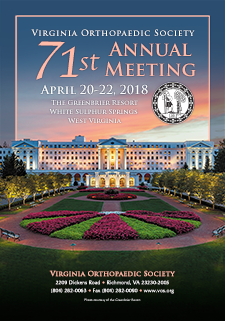 I am looking forward to seeing you at the Greenbrier Resort, April 20-22, 2018. Registration is now open. Please CLICK HERE to reserve your room today.